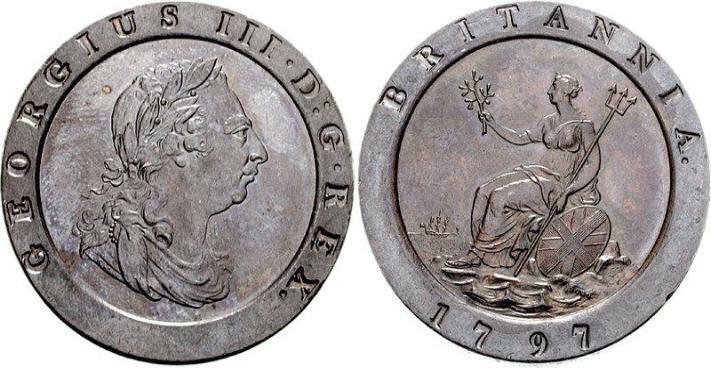 British coin to be circulated. It was only ever struck in one year 1797. 1797 Copper, 56.7 grams, 41mm Diameter.